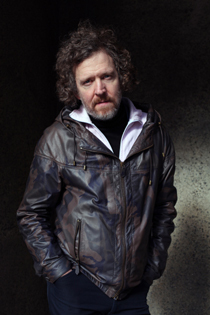 Martin Creed attended the Slade School of Art in London between 1986 and 1990. In 1993 his Work No. 81, 'a one inch cube of masking tape in the middle of every wall in a building' was installed in the offices of the London firm, Starkmann Ltd, and since then Creed has had numerous solo exhibitions and projects around the world. Words and music have always been an integral part of Creed's practice. He has often combined art, talking, choreography and music played with his band. His Work No. 1197 ‘all the bells in a country rung as quickly and as loudly as possible for three minutes’ opens the 2012 Olympic and Paralympic celebrations as part of the London 2012 Festival.